If you are moving into a new place or ready to upgrade your current casual dining space, this simple contemporary 5 piece dining set is ready to add instant style! 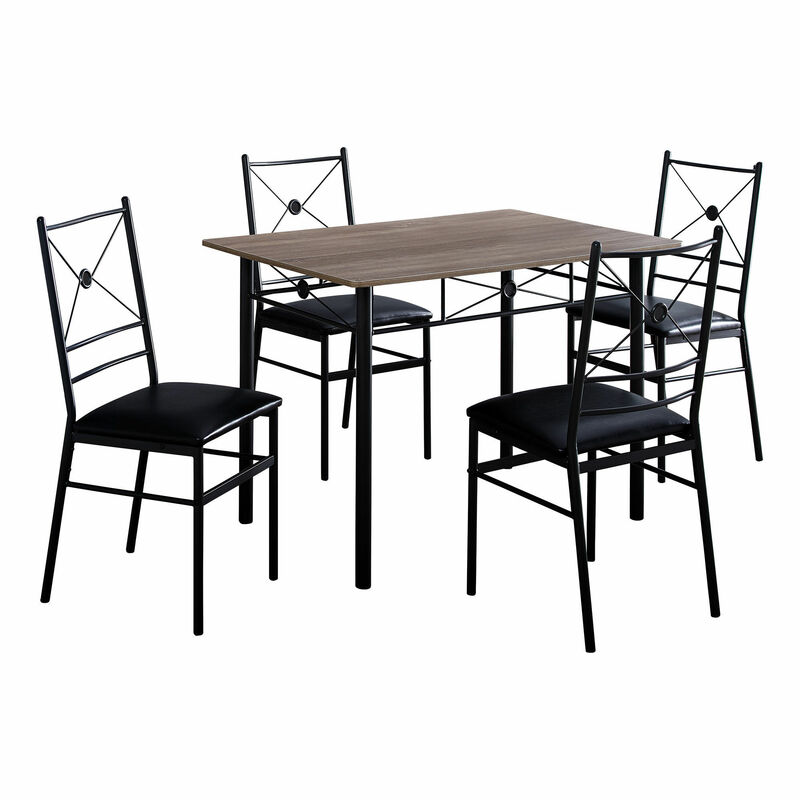 This compact dining set nicely fits in small spaces yet it is spacious enough to comfortably seat up to 4 people. The laminated grey table top in a faux wood grain finish made from quality MDF material, contrasts nicely with the sturdy black metal base and apron embellished with an X design. 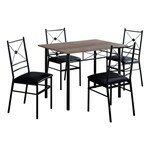 The four matching black metal chairs all tuck under the table as a space saving solution, and feature a comfortable 2 inch thick black faux leather seats that are easy to keep clean. Assembly is required.